With professional baseball teams like “Chicago Cubs” that have been present for over a century, the Miami Marlins is relatively a very young team that have managed to mark their dominant presence in the professional baseball as the part of Major League Baseball. The young team has fascinated and amazed the fans in a short time with its captivating game play and exceptional talents. Formed in 1993, the Miami Marlins continue to mesmerize the sporting fans with exceptional display of athletics and sportsman ship that have earned the team two Championship title at the World Series in 1997 and 2003. The Marlins falls under the Eastern Division of the National League and as of 2012 will play at the newly constructed “Marlins Ballpark” as their home ground. The Marlins enjoy huge support from their loyal fan base of millions that is not only limited to the population of Florida. Watching the Marlins play is a spellbinding experience as the team’s talented line-up produces enticing and enthralling math every time. 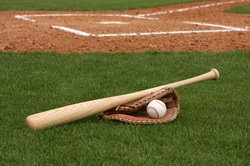 Acquiring Miami Marlins tickets can allow audience and fans to witness the team in action as they give their rivals another mind-blowing competition for another compelling victory. Currently under the manger “Ozzie Guillen,” the team continues its fascinating professional baseball run. The Miami Marlins played as “Florida Marlins,” from the time of their formation in 2003 till 2011. The team’s name was changed as it shifted its home ground from “Sun Life Stadium” to “Marlins Ballpark” at the end of the 2011 season. The venue shift also resulted in the change of the team’s uniforms, colors and the logo. The purpose built baseball venue and the newly changed colors of the team has sparked a fresh energy in the team. The fans are excited as they will see their favorite team in a whole new avatar as the team will embrace its new home ground to take on the rivals. It will be interesting to see how the Marlins will perform under their new shades however; betting on their prevalent and vibrant past performances and a highly successful track record, the team will definitely give their rivals a run for their money. Miami Marlins is renowned for their famous championship title victories of 1997 and 2003 that were both accompanied by a wild card berths. The Marlins defeated the “Cleveland Indians” in 1997 to claim their first World Series championship title. The Marlins defeated the Indians after a highly competitive baseball game and marked their presence as a leading baseball team. They repeated their 2003 victory in the same fashion when the team once again became the leagues wild card team. The team was in the last spot with a 16-22 record, but bounced back and defeated the highly popular “New York Yankees,” to acclaim the championship title. The team continues to fascinate and enthrall the audiences and by grabbing Miami Marlins tickets, the fans can witness a roller-coaster ride filled with high class sportsmanship and team spirit for a nail biting fast paced action. The Miami Marlins is a pro American baseball team that is part of the MLB. This is a franchise located in the city of Miami within the US state of Florida. This franchise was founded back in 1993 and has since then been part of the National League of the MLB in the league’s East Division. The official colors of this team are black, blue, orange, white and yellow. This team was formerly known as the Florida Marlins from its founding in 1993 to 2011. In 2012, this team’s name was changed to the Miami Marlins for the city it is located in. It has a number of nicknames including The Fish, Miracle Marlins and The Fightin’ Fish. In just a few years of being part of the MLB, this team has managed to shine as one of the best and is thus a team to be seen live for the best pro baseball in America through Miami Marlins tickets. The Miami Marlins are located at the Marlins Park in the city of Miami within the state of Florida. The franchise moved to this venue at the start of 2012, coinciding with the name change. Before that, this team played pro baseball at the Sun Life Stadium from its founding in 1993 to 2011; for its whole life as the Florida Marlins. This team is owned by Jeffrey Loria. The manager of the team is Ozzie Guillen whereas the general manager is Michael Hill. In just a few years, this team has managed to win a number of championships, titles and awards to rival those of more older teams. The greatest title in Major League Baseball, the World Series title, has been won not once but twice by this young team. The first World Series title was won back in 1997 after just four years in the year and the next was won in 2003. This team has also won two National League Pennants, coinciding with the World Series wins. These were won in 1997 and 2003. Aside from two World Series titles and two National League Pennants, this team has also had two Wild Card positions. At first, the Miami Marlins as the Florida Marlins played at the Sun Life Stadium. This was a venue where the NFL’s Miami Dolphins also played. Beginning in 2012 and just as the franchise’s name was changed, the Marlins Ballpark became the team’s new home. This is a venue that is specifically created for playing baseball and is thus a state of the art baseball park. This franchise, formerly known as the Florida Marlins, won the World Series as the wild card team in the National League both times. This is a team that has defeated the likes of the New York Yankees in the field and made many records over the course of its career. The Miami Marlins were formed when the MLB announced the addition of two new teams to the National League in 1990. One of the teams was to be placed in the state of Florida and thus their were three groups bidding for a franchise; one from Miami, one from Tampa Bay and one from Orlando. The Miami group led by Mike Huizenga won the bid and thus this franchise was born. In 1991, the first player, Clemente Nunez, was signed onto the team and in 1992, the first round draft pick was Charles Johnson. The first manager of this team was Rene Lacheman who had managed the Milwaukee Brewers and the Seattle Mariners before as well as coached the Oakland Athletics. The first spring training match played by this team saw it defeat the Houston Astros at a score of 12 – 8. The first home was hit by Jeff Conine in front of a crowd over six thousand large at the Cocoa Expo Sports Complex. This team won its first game in its first season in 1993 and defeated the Los Angeles Dodgers. Today, players from the Miami Marlins have been inducted into the Baseball Hall of Fame. This includes Andre Dawson and Tony Perez. There are also two Ford C. Frick Award recipients; Felo Ramirez and Dave Van Horne. Six minor league teams are affiliated with this two time World Series title winner, a team that is definitely something to be seen live on the field through Miami Marlins tickets. Q:Will miami marlins tickets be cheaper if I buy them after a few days? A:No, Miami Marlins Tickets will not be any cheaper regardless of when you buy them. Q:If i buy miami marlins tickets from your website, will you make sure that the seats are together? A:All seats are together with Miami Marlins Tickets bought from our website unless there is a prior mention of the splits.